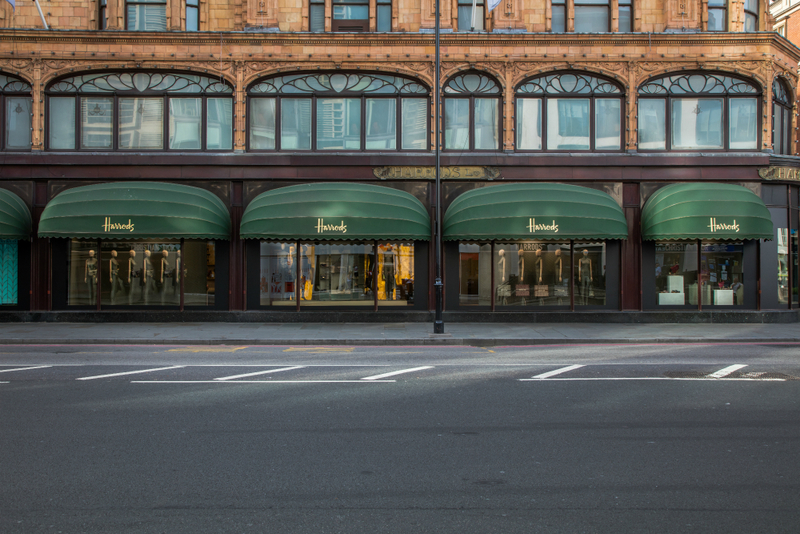 Those venturing to London this summer will delight in knowing that Dior has opened a pop-up store in the city’s favourite luxury department store, Harrods, dedicated to the Maison’s Autumn/Winter 2018-2019 creations. The pop-up store, which runs until the end of August 2018, features a Dior oblique canvas in the window display. A number of accessories will experience their debut at this very store, such as the Diorquake pouches, clogs and several kinds of Mitzah, the special silk scarves that pay tribute to Dior’s muses. And Dior addicts will be glad to know that for the first time ever, they can have their names, favourite words or initials embroidered on an eye-catching tote book bags! Other pieces to be seen at the store are the Diorquake sunglasses, the famous Diorclub1 visor, bracelets as well as the famous sweater bearing the inscription: “C’est non, non, non et non!” printed on a scarf from the Maison’s archives, mimicking the revolutionary spirit of 1968, which inspired creative director Maria Chiuri during the making of this collection. For more information, please visit www.dior.com.